Ben Douglas-Jones QC is a specialist fraud, criminal and regulatory barrister. He is a member of prestigious London Chambers, 5 Paper Buildings. The Queen has approved the Lord Chancellor’s recommendation that he be appointed a QC in 2018. He is highly recommended in Chambers and Partners. The Legal 500 for Criminal Fraud and Consumer Law, describes him as “extremely bright”, with "great intellectual strength" and “extremely able” with the ability to “marshal cases of the utmost complexity”. Ben defends professional and corporate clients including public limited companies. He prosecutes for the Serious Fraud Office and as a junior is a Level 4 CPS panel prosecutor (South Eastern, London; South Eastern, non-London and Wales and Chester). He is specialist prosecutor on three panels: Fraud, Serious Crime and Proceeds of Crime. Ben prosecutes for the Specialist Fraud Division, Organised Crime Division, Appeals and Review Unit, Proceeds of Crime Unit and Welfare, Rural and Health Division (including the Medicines and Healthcare products Regulatory Agency) of CPS Headquarters. He also prosecutes for local authorities. He practises in all serious and complex fraud, including corporate, financial, banking, mortgage, Excise, Hawala, advance fee (419), boiler room, MTIC, NHS, dental, pharmaceutical, Internet, car-ringing, gambling, banking, cheque clearing cycle and insurance fraud. Ben is a member of the Fraud Advisory Panel and the Fraud Lawyers' Association. Ben’s regulatory practice extends to all areas of consumer law, with an emphasis on trade-marks and copyright law, criminal planning, food safety and environmental health. R (on the Application of A) v Lowestoft Magistrates’ Court  E.M.L.R. 20;  A.C.D. 72 (freedom of speech). Ben is an editor of Southwell, Brewer and Douglas-Jones – Human Trafficking and Modern Slavery Law in Practice. the 1st edition is to be published by Bloomsbury professional in February 2018. Ben is an author of the Blackstone’s Guide to the Consumer rights Act 2015. Ben has co-written the 2018 CPS Guidance on charging and prosecuting victims of human trafficking He is one of the authorities of the current guidance (see Publications). Ben prosecutes and defends in serious criminal cases, including murder, sexual and drug offences. He has vast experience in restraint, confiscation and receivership proceedings. Ben conducts second-opinion defence appellate work where he did not appear in the Crown Court and is instructed by the CPS Appeals and Review Unit in the High Court and Court of Appeal. He also has significant expertise in miscarriage of justice work having represented Colin Stagg and secured his £706,000 compensation for Stagg’s wrongful indictment for the murder of Rachel Nickell. Ben’s civil practice centres on judicial review and fraud. Ben is also an attorney-at-law in Grenada, with rights of audience in the Eastern Caribbean Court of Appeal. As well as being a tenant in 5 Paper Buildings, he is a door tenant in Apex Chambers, Cardiff and Linenhall Chambers, Chester. Ben is a qualified advocacy trainer for Gray's Inn. Ben was called to the Bar in 1998. Ben has been ranked in Chambers UK 2019 as a New Silk for Consumer Law. He was described as ""An excellent communicator who is always immaculately prepared and shows outstanding attention to detail. An engaging advocate, he is very personable and puts clients from all backgrounds at ease." Meanwhile, for Financial Crime it was noted that Ben is ""Fantastic and incredibly hard-working." "He's very on top of his cases and a very good lawyer." Ben Douglas-Jones QC appeared for the Crown in GS  EWCA Crim in which the Court analysed what constitutes a change in law case for the purposes of granting leave to appeal against conviction out of time in human trafficking cases. The risk to the Applicant’s immigration status was deemed to be a substantial injustice. The case set out a hard edge approach in the receipt of medical evidence on appeal in the context of trafficking cases on the grounds that the evidence could have been adduced in the Crown Court, exceeded the proper scope of the experts’ expertise and a retrospective analysis of an appellant’s psychological status will not necessarily be accurate. The case addressed the significance of duress being rejected by a jury where trafficking status is on appeal relied on to show an abuse of process. Ben Douglas-Jones QC and Aparna Rao secured convictions of Philip Bujak, the former CEO of the Montessori charity for species of fraud including the receipt of a kickback in relation to the sale of a property in Princes Gate near Hyde Park, the inflation of invoices from the charity’s printing company, the forgery of art restoration invoices to show that art belonged to Montessori when it in fact came from his private art collection and business expense claims which in fact related to successive family reunions. Bujak received a 6-year prison sentence and was disqualified for acting as a company director for 10 years. 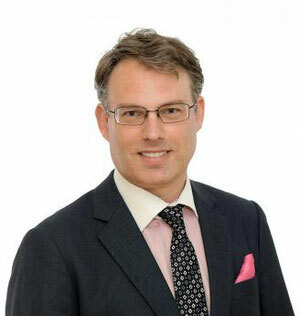 Ben Douglas-Jones QC appeared for the Crown in MK v R; Gega v R  EWCA Crim 667, a crucially important case which has resolved the burden of proof where a defence is raised under s45 Modern Slavery Act 2015. Ben Douglas-Jones QC appeared for the Crown in R v Edwards  EWCA Crim 595 in which the Vice President of the Court of Appeal handed down definitive guidance on the approach to sentencing defendants with mental illnesses. Ben Douglas-Jones QC has been appointed Recorder of the Crown Court.